Provence is a place where the land meets the sea, and where culture blends beautifully with the region’s rich history. As a result, the unique and varied Provençal landscape has inspired creatives for centuries, and the mountainside vineyards of the region produce some of the best wine in the world. Here’s how to spend 7 days in Provence: your complete guide and itinerary for spending one-week exploring this fascinating region. Day one: A ‘city of a hundred fountains‘ was how my friend described Aix-en-Provence to me when I went to visit her last year. And, to be honest, that description is pretty accurate. Once the inspiration for artists such as Monet, Renoir, it’s easy to spend a lost exploring the city, getting lost along its many sun-drenched streets. The city was even once home to Cezanne (who is also now buried in the city’s cemetery). If you’re interested in learning more about the artists who made Aix-en-Provence their home and in particular, Cezanne, you can take a self-guided walking tour of the city. The starting point is the city’s tourism office, and there are brochures for the tour available at the help desk. Wander the cobbled lanes, visit one of the many museums, or indulge in a little shopping at one of the city’s many independent boutiques (and galleries). Throughout the city, there are also often local markets (where you can pick up fresh local produce such as lavender and tomatoes), as well as little churches and secret little cafés. Day two: After spending your first day in Provence exploring the town of Aix-en-Provence, head out into the countryside and get a real taste for the region (both figuratively and literally). Spend day two in Provence hiking nearby Montagne Sainte Victoire, which overlooks the city. There are plenty of buses heading out toward the mountain from Aix, making this an easy day trip, even without a car. And besides, you can’t visit Provence and not visit a vineyard… After all, wine tastes best than in situ and on the very spot where the grapes were grown. If you’re look ing for a guided excursion, then this half-day tour to Cezanne wine country incorporates a visit to two local wineries. Day 3: If there’s one place you should definitely visit during your 7 days in Provence, it’s Cassis (also the French word for black currant). After hiking around the mountainside yesterday, today is dedicated to rest- French style. Spend day three in Provence wandering around the port of Cassis, and getting your first feel for the Southern French coast. Overlooked by the Château de Cassis (once a Carolingian fortress, and now a luxury hotel), the seaside town has everything you could want from a Provençal town. Here, you can soak up some sun at the beach, enjoy an ice cream (lavender is a local delicacy and grows abundantly in the fields throughout the region), or wander the streets of the old town. Day 4: Spend day 4 of your Provençal tour hiking the ‘Calanques de Cassis‘. Often cited as one of the most beautiful stretches of coastline in the World, it’s most definitely a must-see Provence destination. The chalky cliffs overlook an azure blue sea and form little-hidden coves all along the coastline, providing perfect little picnic and bathing spots. It’s the perfect hideaway from reality and will make you wish you were spending longer in this little piece of paradise. The Calanques are so beautiful and rare, that they are now a designated National Park. They stretch all the way along the coastline to Marseille. And, although they could be explored over several days, one day is definitely sufficient to get a taste of this beautiful part of the world. Day 5: This port city has been in use since ancient times, and as such, has plenty of things to see and do. If you’re staying in Provence for longer than a week, you could easily extend your stay in Marseille to encompass a couple of days- there’s certainly enough to see and do! Whilst in Marseille, make sure to check out Notre Dame de la Garde (a charming church sat atop of a hill overlooking the entire city), the Vieux Port (in use for over two thousand years), and Le Panier Neighbourhood (one of the most picturesque districts in the city). Day 6: Founded during the Roman era, the ancient town of Avignon is perhaps most famous for its half bridge, lying in the middle of the River Rhône. All that remains of Pont Saint-Bénézet is on display in the centre of the water, the rest having been washed away at some point during the 17th-century. 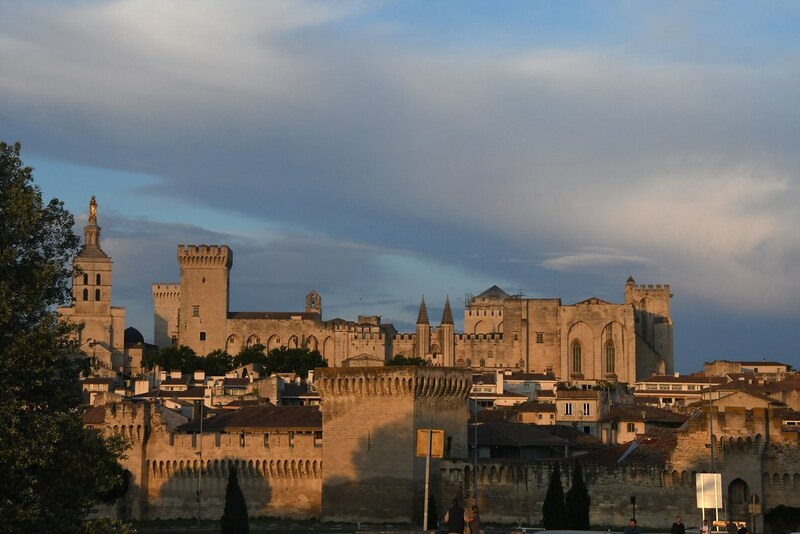 Here, in Avignon, you can also visit the UNESCO world heritage site ‘Palais des Papes’ (built for popes fleeing Rome), and explore the town’s Roman past. Day 7: To finish off your 7 days in Provence, spend a relaxing night in La Ciotat. Cute, quirky and a little off the beaten path, La Ciotat is everything you could want from a seaside French fishing village. The village was once the site for the first filming of a motion picture, and allegedly where the games ‘boules’ was invented. End your blissful time in Provence by exploring the small alleys and cute eateries of this sleepy little fishing town. There’s even a small artificial beach on the fringes of the port where you can swim and paddle in the sea. Stuck on ideas for things to do in the town? Here’s how to spend a complete day in La Ciotat. I was amazed when I see Provence with my own eyes. It’s a must see! I highly recommend this place. Ohhhh Sophie, this itinerary is pure gold!!! Thank you so much! We will be in the Provence over the winter, I so have to visit now the Calanques de Cassis – I had no idea about this!